Ben Carson was the winner of the Republican presidential debate. Republican presidential candidate Ben Carson participates in the first prime-time presidential debate on August 6, 2015 in Cleveland, Ohio. The first national poll commissioned by Fox News since the Republican presidential debate two weeks ago suggests Ben Carson may be the clearest winner of that highly-rated face-off. The poll continues to show Donald Trump as the frontrunner with 25 percent support among GOP primary voters, which is a pretty steady number considering he was at 26 percent before the debate. 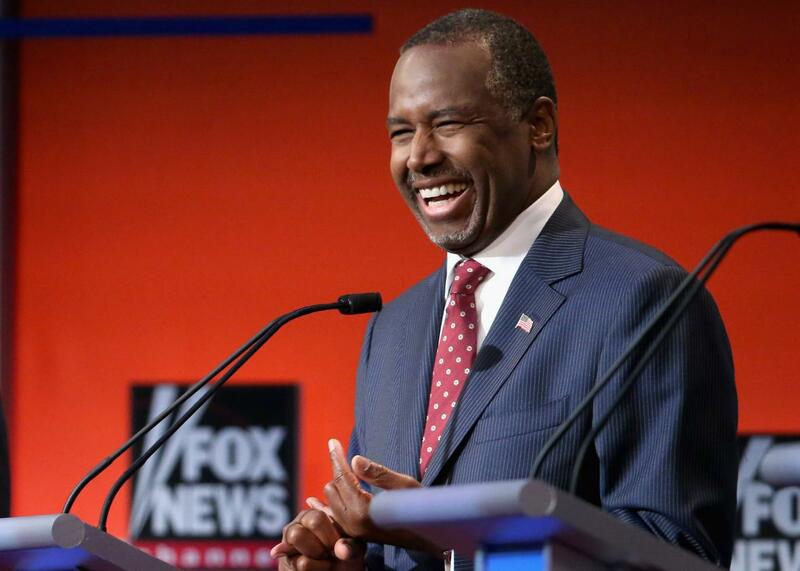 Carson, on the other hand, got a five-point jump, soaring to 12 percent. That puts the retired neurosurgeon ahead of Ted Cruz, who got a four-point bump to 10 percent. Jeb Bush, on the other hand, lost six points, to nine percent, marking the first time his support is in the single digits since April. The bump comes from a debate in which Carson turned in a relatively sleepy performance — until the final 10 minutes or so, when he dropped a great line about separating Siamese twins (which he has done as a neurosurgeon) and gave a strong prepared closing statement. The Fox News poll also has bad news for Hillary Clinton, who dropped below 50 percent support for the first time to 49 percent, compared to 30 percent for Bernie Sanders, who keeps climbing. “Two weeks ago Clinton was up by 29 points (51-22 percent). A month ago she had a 40-point advantage (59-19 percent),” points out Fox News.